Hi friends! I'm so excited to share with you that I am participating in Project: #1 Room 30 Days hosted by the fabulous Alaya at Behind the Big Green Door. Why am I so excited? Because I have made the decision to finally put the hubs and I first, and will be refreshing our master bedroom. While my bedroom certainly hasn't been neglected, I haven't put it on the forefront either, so I'm excited to give hubby and I a beautiful, relaxing and romantic retreat from the hustle and bustle of having four kids. So here's the plan . . . I will be doing this refresh on a budget (no surprise there I'm sure), which means there will be quite a few diys, a lot of re-use/shopping the house, and looking for steals and deals, so I hope you'll visit often to cheer me on and keep me encouraged as I update our space. So far, I've moved my bed, because my down comforter has sprung a leak or something and there were/are feathers EVERYWHERE-so I needed to do some serious vacuuming. After I moved the bed, I didn't do anything else because I knew If I started, I wouldn't have been able to stop, and I wanted to wait until the challenge began. And the other side, don't mind the baby items, we co-sleep, which may also come to an end, once this bedroom refresh is complete (wishful thinking). More drawer space, or better organization, my original thought was to purchase two small dressers to serve as nightstands, but I have some measuring to do to see if space allows. 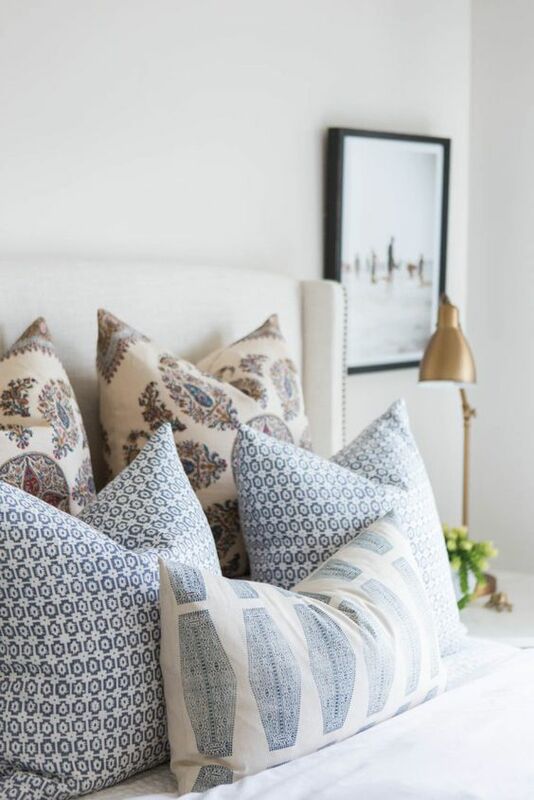 Bedding: I really love my down comforter, so I may find a new duvet in a solid color and have some fun with patterns and color through the pillows. Wall Art: there is very little going on right now in my room for wall decor, everything that I've used was kind of put up half-heartedly, so hopefully I can add some meaningful pieces to the space. Window Treatments: My current window treatments were a sort of quick fix and they are perfectly fine, but they allow a lot of light to enter the room in the morning, so I'm looking for a blackout option. Flooring: I purchased a wool rug from Safevieh, but the reviews complained about shedding, so I'm not sure it is the best option. Lighting: The current overhead lighting is a modern drum shade that we picked out for our oldest son when he occupied this room, I am considering changing it out to something a little fancier. I plan on using a one table lamp and a cantilever on the other side. What I like most: The lamp, the grouping of the artwork over the nightstand, the floral pillow, the nightstand is the same style as my current nightstands. The mixture of patterns. 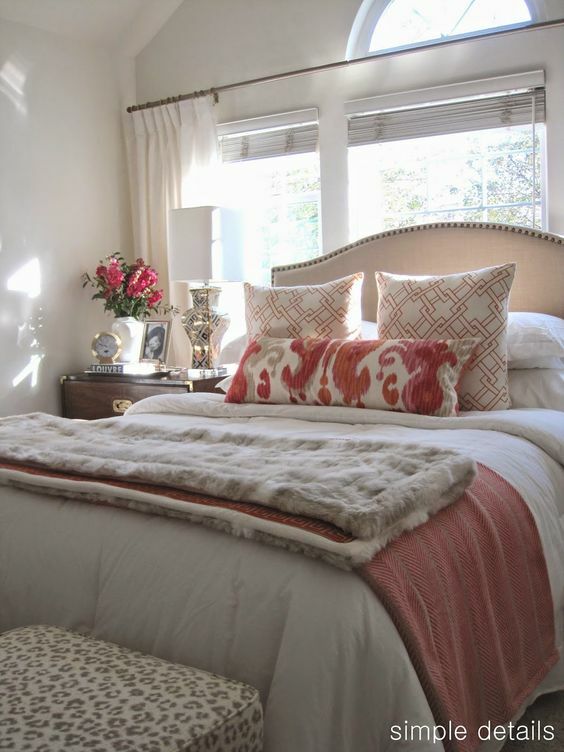 What I like most: The pattern play, the styling of the nightstands, the upholstered headboard, the long lumbar pillow. What I like most: The pattern play, the cool relaxed feel, the brass cantilever lamp adds a touch of glam. What I like most: I really love the warmth of the chest and the styling, the vertical picture grouping and the bedding, the ikat pillow covers are dreamy! As I embark on this journey to actually start AND complete a room within 30 days, I'll be sharing progress pictures along the way---eeek! Hope I can manage! Be sure to search the hashtag #1room30days on Instagram to follow along with me and my fellow participants and to gather inspiration as well! Also check out Behind the Big Green Door for some awesome tips or to get more info on this challenge! But why does you bedroom already look halfway complete! lol you don't want to see mine! I'm excited to see what you come up with! and I love that upholstered bed too! Love your ideas Carli. And I agree with Alaya, the before picture is pretty so I already know I will love the after! Good luck Carli! 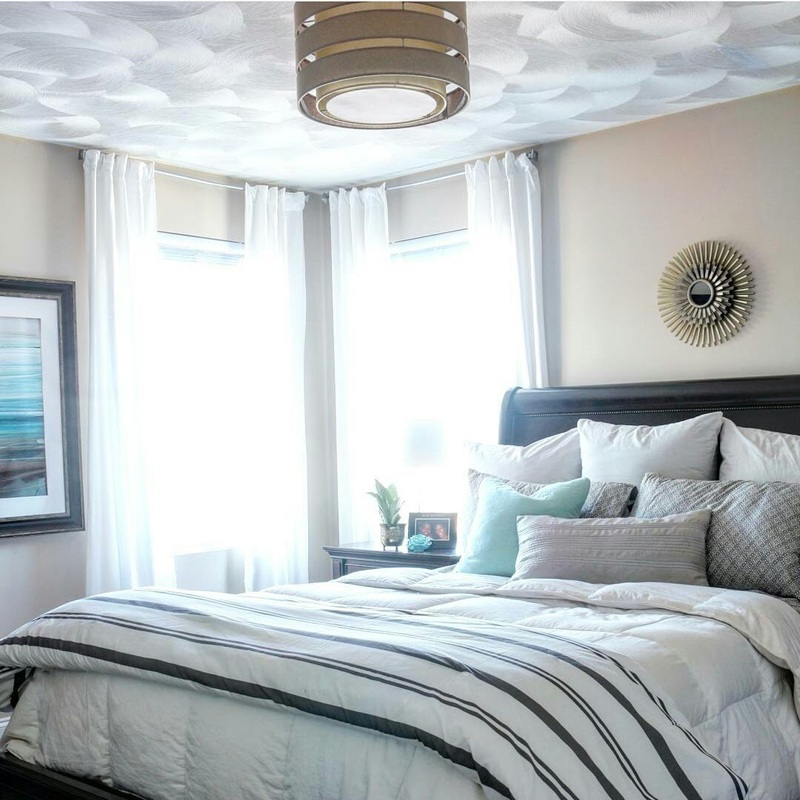 You've totally gor this and I can't wait to see your master bedroom transformation. I agree with Alaya and Erin, your room is already pretty! I know the after will be amazing! I also love the 3rd inspiration pic!